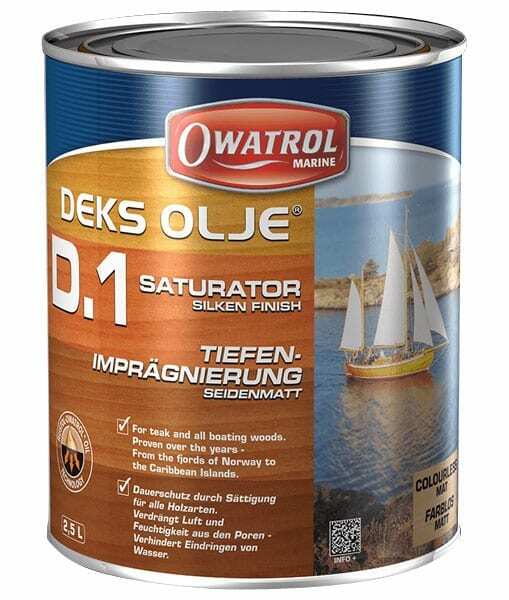 Owatrol Deks Olje D1 Saturating Wood Oil is an easy to maintain oil that feeds woodwork made to specifically drive out any moisture or air in the wood and replace it with oil giving you longer lasting protection on all timber work. 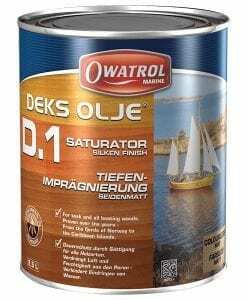 Owatrol Deks Olje D1 Saturating Wood Oil is an easy to maintain oil that feeds woodwork made to specifically drive out any moisture or air in the wood and replace it with oil. 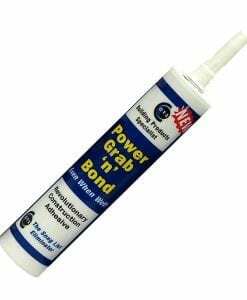 This give you longer lasting protection on all timber work by enriching and stabalising the wood. Deks Olje D1 can be used for both interior and exterior woodwork as it does not form a film over the top of the wood but protects from within, this also means it won’t peel or crack. Deks Olje D1 doesn’t take-away any of the natural beauty of the wood as it dries clear and matt it enhances it. 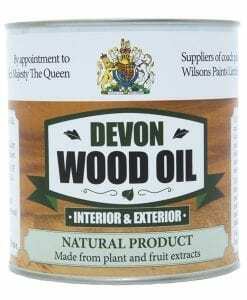 This wood oil has been optimised to go through dense, oily and difficult to impregnate woods, while still providing the best protection against humidity and damage from UV rays. 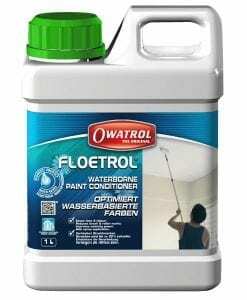 It’s so good against water this oil can be used above AND below the waterline. 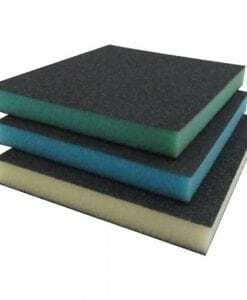 The wooden surface must be clean, dry and free of any previous coatings. If you have to strip the surface leave the wood to dry for 3-4 days before applying this oil. 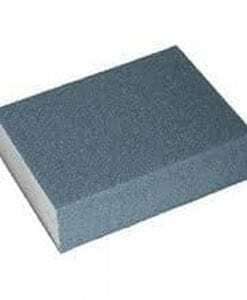 Start applying Deks Olje D1 to somewhere that can be treated in around 15mins, once this has penetrated apply a 2nd coat. 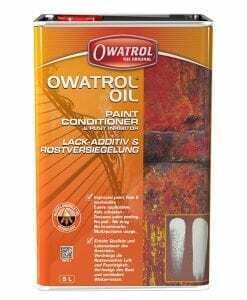 Keep applying Deks Olje D1 ‘wet on wet’ don’t let the oil become dry during applications until the wood is saturated, the number of applications will depend on the wood. Once the wood is saturated leave for 30mins and then wipe the surface to remove and excess oil with a rag that has been soaked in Deks Olje D1 and rung out so it’s damp. 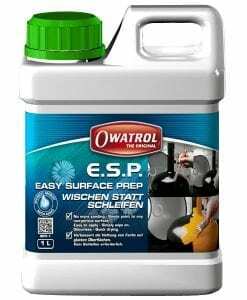 For the best finish it is important that as much Deks Olje D1 is applied on the first day. Allow Deks Olje D1 3 days to fully dry. The service was good, not sure about the delivery company. Why they could not give a time slot or leave it next door instead of taking back. The Olje 1 is used on Iron Wood gates and lasts a couple of years before it needs a freshener. Which is the best of the products tried. 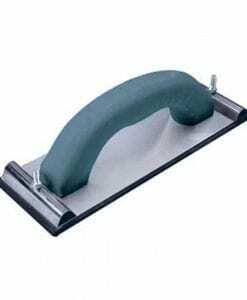 Thank you for your review, we are looking into ways to work with our delivery company but due to the nature of the product, there are limited options available to us. We will certainly pass this on. 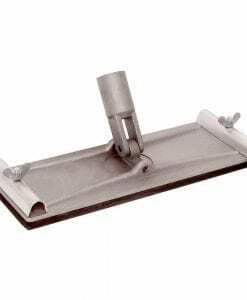 Fast efficient delivery and great product for the teak on any boat . 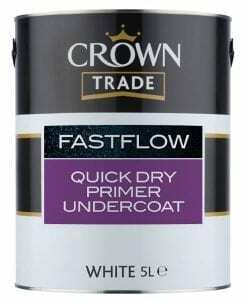 good product; easy to use – after I eventually got the correct delivery!!! to be fair Wilson’s dealt with the error quickly, courteously and – ultimately – efficiently! 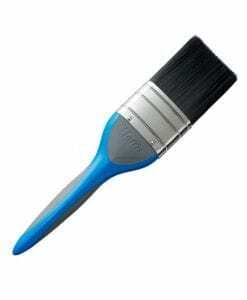 I have a very large deck area and this would have been very expensive to apply as a saturation coat to new timber. However the deck has been previously treated and is very dense Ipe so I managed with just over 3.5 litres. It leaves the wood darker and with a waxy sheen which looks protective. It was very easy to apply. As this was done recently I can’t yet say how it performs over time.